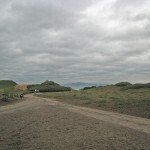 Fort Funston on Christmas Eve – iDallas! 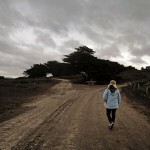 On Christmas Eve, Vida, Maddox and I headed to Fort Funston with our dog, Charlotte, and Vida’s dad, John. 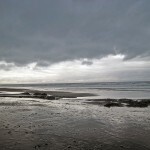 It had been raining earlier that morning and the sky was still very dramatic and the beach was wet. 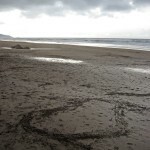 just came to your blog….looks very nice collection of pics.But how you find that beach completely blank? Wasn’t it was rushed by people (like your dh servers!) ? There were other people, but in general it’s not very crowded because it’s a bit cold and windy much of the time. It’s primarily visited by people who bring their dogs with them because it’s one of the few dog beaches in the area. Very nice place and great photos. I would like to use the 3rd (gray sky and sea) as desktop background. Please tell me if I may. No problem.. go ahead and take the photo for use as a desktop background!